Hello, all! Did you all have a great weekend? If you follow along on the Canoe Ridge Creations Facebook page, you know I spent the last few days in Salt Lake City for Sewing Summit! 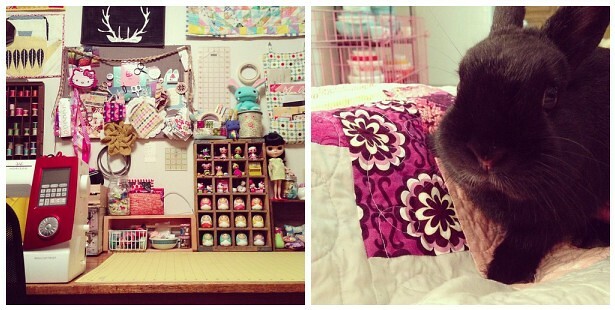 In case you missed it, here are a few pictures from my Instagram feed & you can follow me (@canoercreations) too! I couldn't travel to Sewing Summit without a few handmade items, right?! 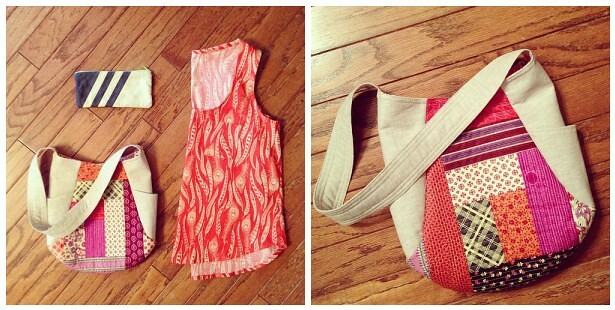 This year I made two new projects -- a Wiksten tank & a patchwork 241 Tote. I'll be sharing more details of both later this week! This year, I traveled to Salt Lake City with Jeni & Anna -- and had a sleepover with the two + George the night before. Jeni sure does have the cutest creative sewing space! Traveling with friends was super fun! And look -- all three of us brought noodle-head bags! 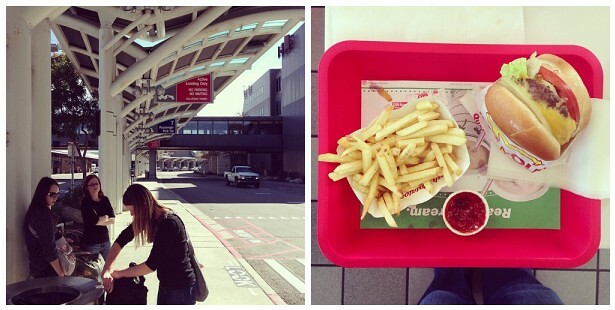 Once we arrived at the airport, Erin picked us up & took us to grab lunch at IN-N-OUT (my first time!) 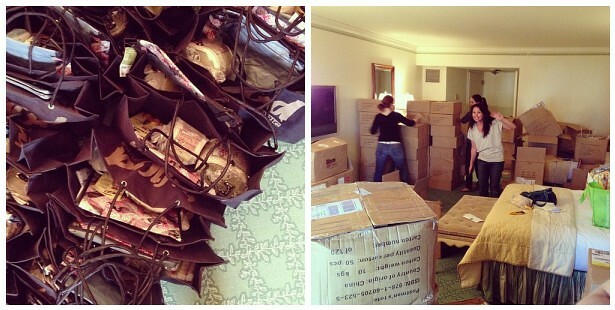 before we loaded + brought all the Sewing Summit swag to the hotel. Speaking of swag -- we had so many boxes! See, so. many. boxes! My bed was actually under that stack of boxes. Crazy, huh?! Tomorrow I'll be back to share more pictures from the rest of Sewing Summit -- new friends + classes + more fun! Awesome! Thanks for taking us on the fun shop hop too! I can't wait to read more about it tomorrow! I hope someday I can go to SS!